The last box of the season is here! What a year 2014 turned out to be. As we typically find upon reflection, we saw lots of changes on the farm this year. We got married during the biggest snowstorm of the year. We lost a beloved father. We built a fantastic greenhouse. We’re moments away from welcoming our first child. We grew from 100 members to 150. We saw the longest, wettest spring in the history of Polk County. We enjoyed a mild and not too dry summer. We witnessed the rapid arrival of a beautiful fall. We had many improvements and successes in our gardening, and a few disappointments as well. Most importantly, we had the honor of farming for all of you. Now that we’re here, it’s incredible to feel how long and how short 18 weeks can be. We thank you from the bottom of our hearts for being a part of the Sleepy Root family for the year. 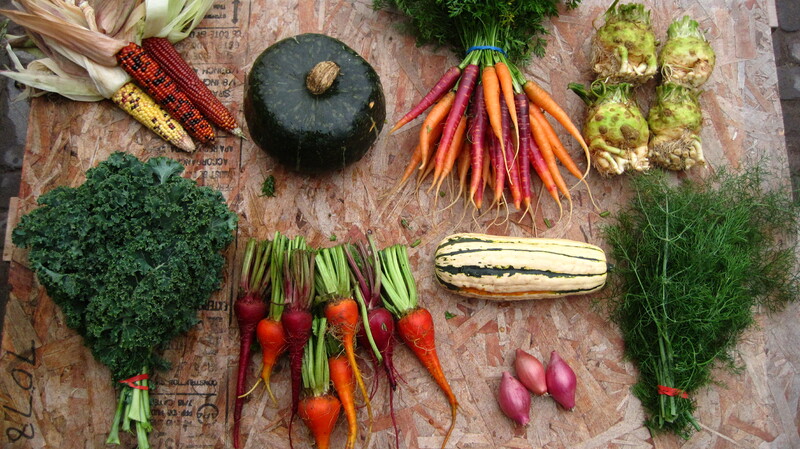 We hope you enjoyed being a part of our CSA. 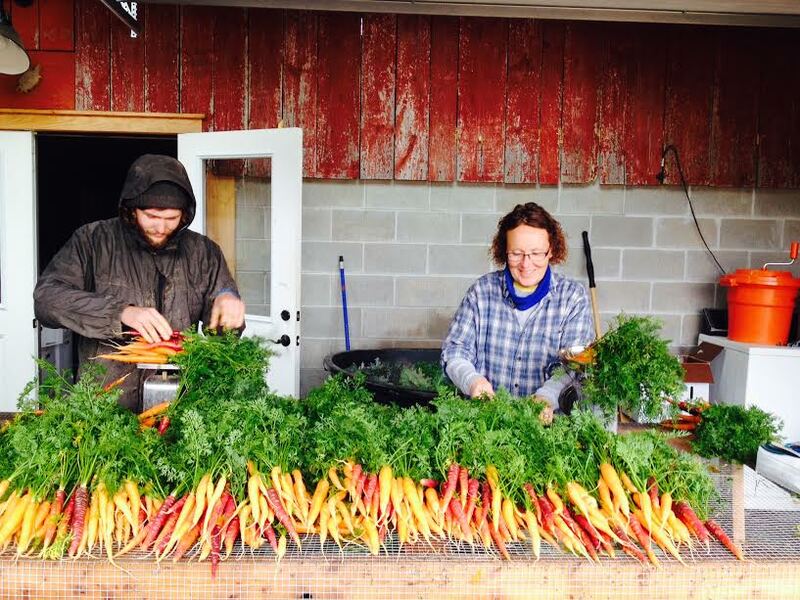 We may enjoy growing vegetables but what really satisfies us is growing our community. It’s our sincerest hope that your boxes provided you not only with nourishment but with a sense of place, not only food for the dinner table but conversation to have around the dinner table. We hope that our boxes gave you some new vegetables to learn about, some old favorites, and a good reason to get in the kitchen and share and celebrate the fantastic world of good, healthy, responsibly raised produce. 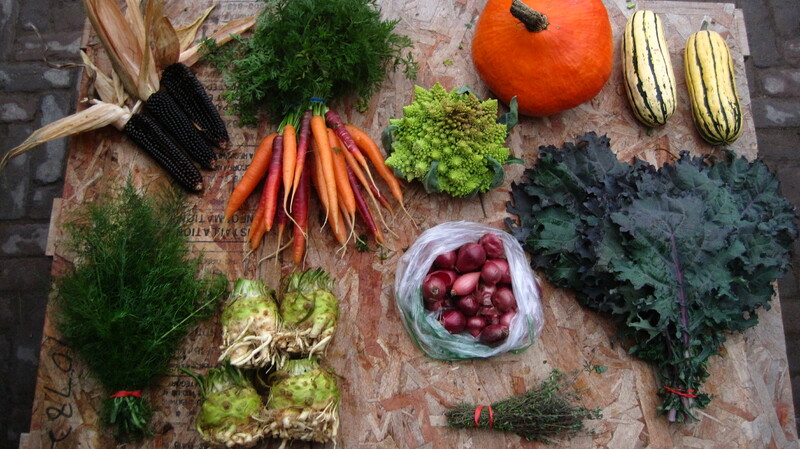 Thank you for being a part of our CSA for 18 delicious weeks! 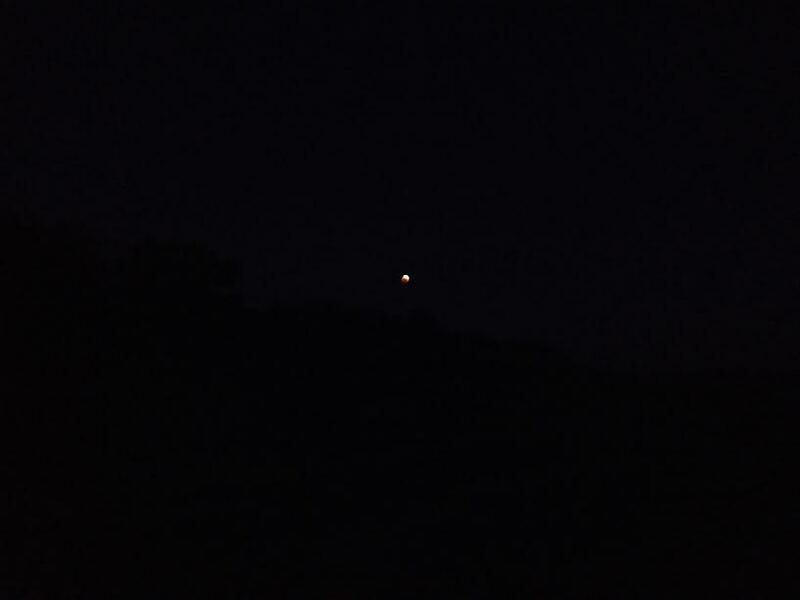 A very bad photo of the moon during the eclipse…yes, some of us were talked out of bed at 5:45 am to do this! It was lovely, actually. 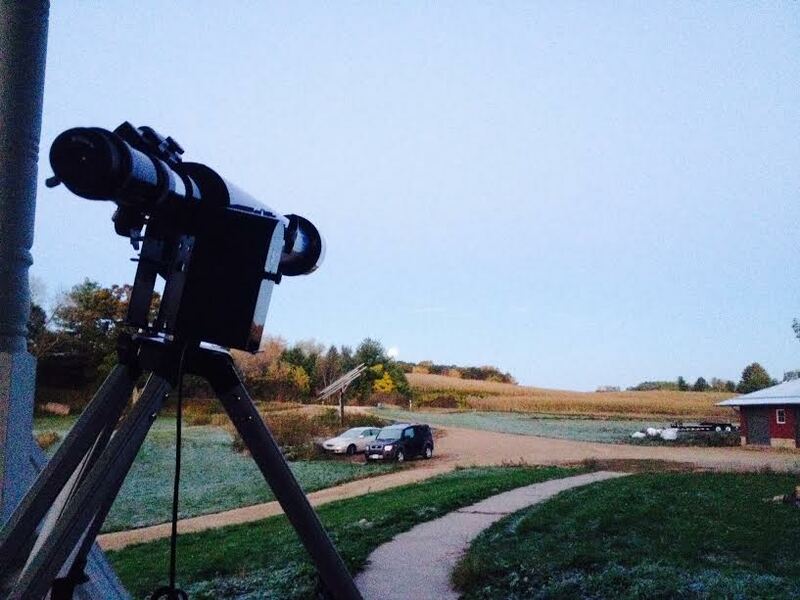 That tiny little speck in the photo? 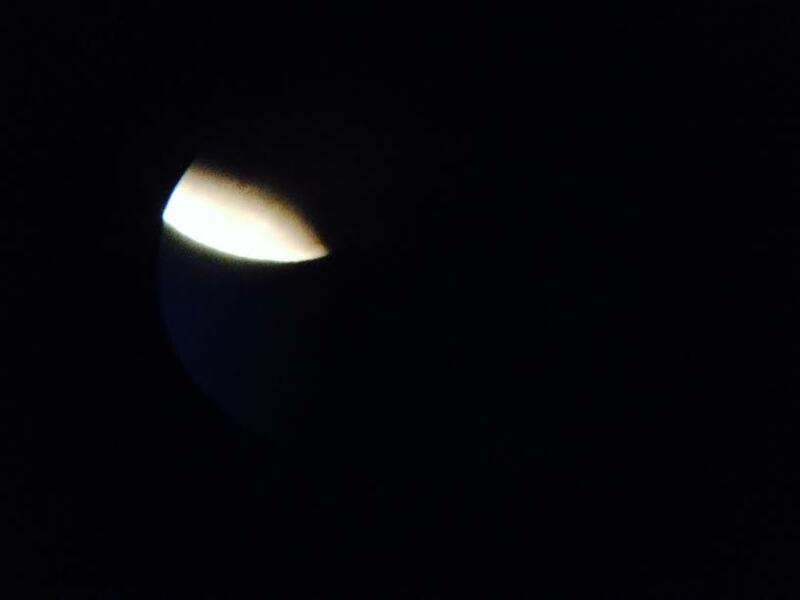 If you look really closely, you can see the red shading on the moon caused by the sun being directly behind Earth. Earth’s shadow causes the moon to turn red! The frosty morning revealed by the sunrise. 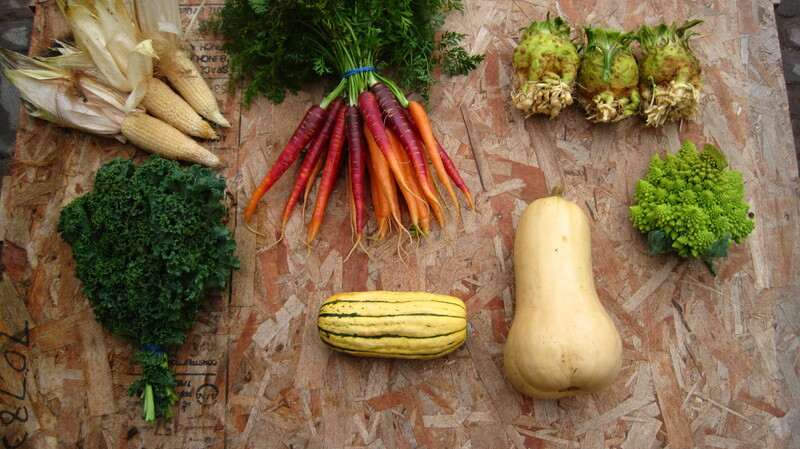 Kuri, Buttercup, or Butternut Squash-since the goal of the last box is to get everything we can out to our members, we decided to use a medley of the larger remaining winter squash. The kuri is a bright orange beauty, the buttercup is a charming turban-shaped squash with a dark green-grey exterior, and the butternut is that familiar pale orange, bell-shaped squash. All are great keepers and great eaters! Delicata-This tubular, pale orange with green stripes squash is quickly becoming Heather’s favorite. The taste is truly sensational, rich, and creamy. It’s also fantastic to cook with since the skin is entirely edible. Split in half, scoop out the seeds, and roast cut side down. When the outer shell is tender to the touch, it’s done! Eat the whole thing, trust us, it’s so soft and delicate you’ll be amazed. Popcorn-We had a lot of fun with this crop this year. Many of the members who came to the harvest party worked on pulling these out of the field. These ears of corn are designed to be popcorn.They still need to dry for a few more weeks before they’re ready to pop, though. When you take them out of your box, pull the husk and silks away from the cob. If you’d like to use them as decoration while they’re drying, tie the pulled back husks together and hang or place somewhere dry in your home. Otherwise you can remove the husks and silks entirely and again, place in a dry place indoors. 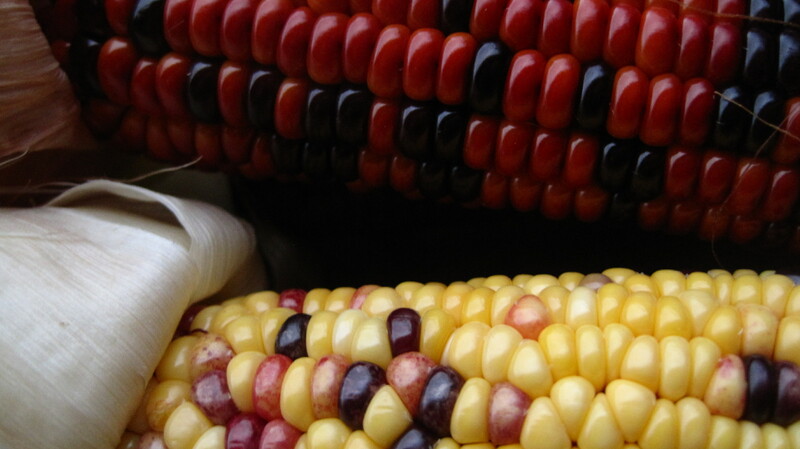 In a few weeks’ time, shell off the kernels. 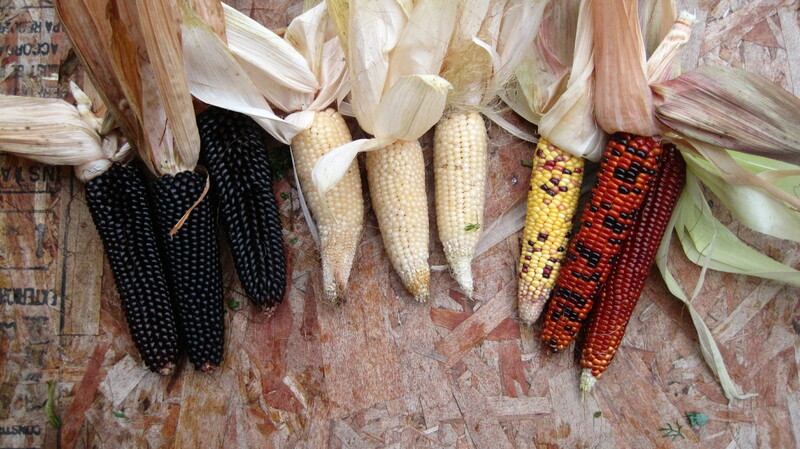 You’ll know they’re ready when the kernels easily come off the cob. You can try popping them right away, or store them like you’d store any store-bought popcorn until you’re ready to eat! We’ve included a helpful video on how to shell the kernels. Carrots-These might be the tastiest, sweetest carrots of the year, thanks to the multiple frosts we’ve had over the past few weeks. A combination of Purple Haze and Scarlet Nantes, we’re really proud of how beautiful they are! Romanesco-Probably Brandon’s favorite brassica, these super-funky looking green spaceship broccoli can be treated just like any other broccoli! They tend to have a sweeter and nuttier taste than their more boring green cousins. Fennel Fronds-The fennel didn’t have time to size up, but we were able to harvest lots of fronds! Think of these lacy fronds as you would dill or tarragon-they have a hint of anise, go great with seafood, and are best used fresh. They are a great addition to the vegetable stock pot, they’re really refreshing tossed into greens for a salad, and make into a pesto to use now or freeze for later. Pesto recipe below! Beets-Definitely, absolutely, the most difficult crop of the year! The first three plantings got washed out entirely in our monsoon spring, and these are the only beets that made it to anywhere near normal size. Some bunches are baby beets, so they’d be great roasted whole or turned into gorgeous pickled beets. Some bunches are larger and can be diced or wedged before or after cooking. We’re shy on numbers for all the mediums, so some of you may find a romanesco in your box instead. We’ve got big plans for you, beets, next year, so watch out! Pearl Onions-Full shares get a real treat this box with a full pound of pearl onions. Ridiculously expensive to buy in grocery stores, these little cuties come in both red and yellow varieties. Best used alone to show off their sweet and mild taste. We’d recommend a creamed version for your holiday table. Shallots-Another special treat from the allium family! Medium shares get a quarter pound of this treasure of French cuisine, and we think you’ll love their richer, sweeter and fuller taste. There’s countless recipes out there that feature shallots, and you can always substitute for onions by using half as much shallot as you would onion. Combine the fennel fronds, garlic, nuts and salt in a food processor or blender and pulse until the mixture is chopped up. Add oil and process/blend until the mixture becomes paste-like. (You may have to scrape down the sides of the bowl.) Serve pesto at once, refrigerate for up to a week, or freeze for up to a month. Brush the cut sides of the squash with 2 teaspoons oil and sprinkle with 1/4 teaspoon salt. Place facedown on a large baking sheet. Bake until tender and browned on the edges, 25 to 30 minutes. Heat the remaining 4 teaspoons oil in a large skillet over medium heat. Add onion; cook, stirring, until beginning to brown, 4 to 5 minutes. Add beef, chili powder and the remaining 1/4 teaspoon salt; cook, stirring and breaking up with a spoon, until the meat is cooked through, about 5 minutes. Stir in the bulgur and cook 1 minute. Stir in yogurt. Spoon about 3/4 cup filling into each squash half. Serve sprinkled with pepitas.